The great pumpkin cocktail takes a completely different route than most to add the flavor of pumpkin to the drink. In this one, mixologist Jackson Cannon of The Hawthorne in Boston decided to infuse Scotch with roasted pumpkin and mix it with The King's Ginger Liqueur and maple syrup. It is, hands down, one of the better pumpkin drinks you can mix up, though you do have to plan two days ahead for the infusion. 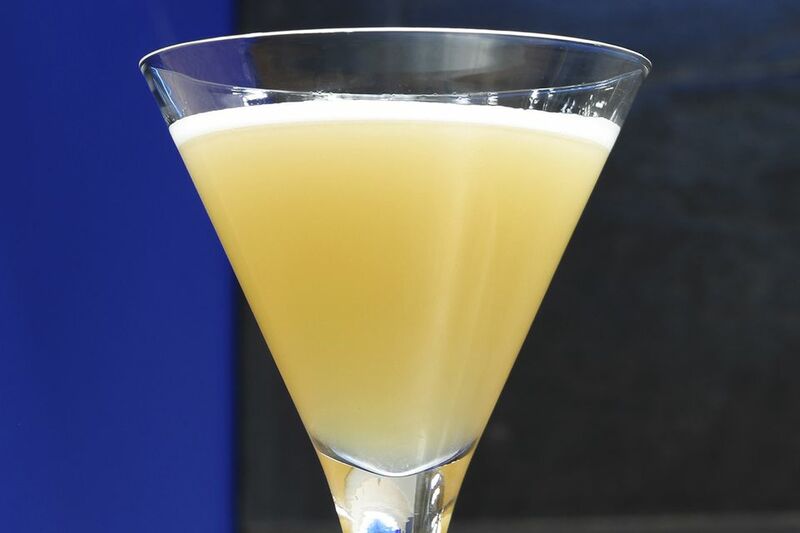 The whisky and ginger are natural complements to the more delicate pumpkin flavor, which is not overly showy like it often is in so many other cocktails. You'll find a carefully crafted balance of flavors in this one and it's something that even the non-pumpkin lover may enjoy. While you have the pumpkin scotch, try it in a few other scotch cocktails. It makes a very interesting Rob Roy, for instance, and is perfect with amaretto in the godfather. Note: while there are multiple steps to this recipe, this cocktail is broken down into workable categories to help you better plan for preparation and mixing the drink. Preheat the oven to 250 F. Peel and clean a sugar pumpkin and cut it into small 2-inch square pieces. Lay the pumpkin in a single layer on a baking sheet and salt very lightly. Roast for about 20 minutes. Place the roasted pumpkin into a sealed, wide-mouth container and cover with scotch. Let the infusion rest for 2 days. Strain off the pumpkin and re-bottle. Keep refrigerated. In a cocktail shaker filled with ice, shake the pumpkin whisky, ginger liqueur, lemon juice, and syrup. Garnish with a dash of cinnamon. If you choose a coupe glass, the drink has more of the pumpkin look. Coupes are stemmed and have a rounded bowl rather than the V shape of a standard cocktail glass. For the scotch, Cannon recommends The Glenrothes Select Reserve. It's a single malt from the Speyside region and the distillery is known for dessert-like whiskies, making it a perfect fit for this cocktail. Feel free to try the infusion with any other scotch. You can often save money with a blended scotch rather than a single malt. This might be a good move while experimenting with the infusion. How Strong Is The Great Pumpkin? The two spirits in the great pumpkin are relatively strong (the scotch is 92 proof and the liqueur 82 proof), so the cocktail is going to follow suit. If you stick with the recommended brands, it should shake up to 25 percent ABV (50 proof) or so. It's not as strong as the Manhattan, but it's pretty close. Seriously... You Want Me to Mix Scotch and Beet Juice?